The European Stability Mechanism (ESM) is an agency within the European Union that provides financial assistance to eurozone member states and banks. It is the successor to the European Financial Stability Facility. The ESM can "bailout" countries, by giving them loans, or banks, by providing them with fresh capital. Its lending limit has been set by EU law at 500 billion euros ($551 billion). This page is an automatic compilation of the latest news involving the ESM. Eurozone finance ministers have failed to agree on a proposal to introduce a budget for the common currency area. There was also no consensus on securing bank deposits. They did agree to strengthen a fund to help struggling eurozone economies though. French Finance Minister Bruno Le Maire called on Germany to stop delaying EU decisions about taxes and the eurozone budget. The people of Europe are running out of patience, he warned, while populists love EU indecision. After receiving more than €200 billion since 2010, Greece will no longer depend on EU emergency funding as of Aug 20. 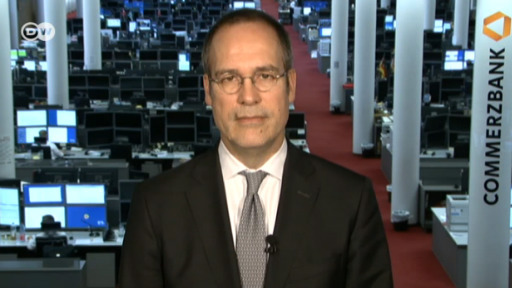 But Commerzbank Chief Economist Jörg Krämer says the Greek bailout saga is nothing to learn from. French President Emmanuel Macron is facing a sharp rebuke from a group of senior German economists, who criticized his eurozone reform plans in an open letter as risky and leading the bloc into a "liability union." 50 years after the last moon landing, astronauts are due to head there again. In NASA's new ORION space ship. 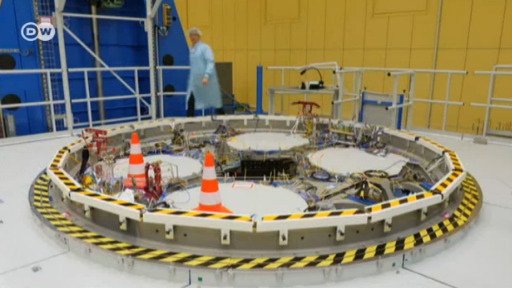 The European Space Agency is involved too - producing the service module, ESM. It will house everything necessary for the mission - engines, fuel, gas, water and oxygen for the astronauts. It's due to be delivered in 2018. Eurozone finance ministers have approved part of a new bailout tranche for Greece. They said Athens had made good progress in implementing reforms, but added that some measures agreed on needed more attention. The European Stability Mechanism (ESM) is providing Greece with billions of euros in fresh money after EU finance ministers finally agreed that the debt-laden country has made progress in bringing its finances in order. A buy-out of the Greek port by Chinese shipping giant COSCO is closer to completion, defying protest. Meanwhile, Germany, pleased by Greece's economic reforms, has given its stamp on new credit for its government. Klaus Regling, head of the European bailout fund ESM, is upbeat about Greece. There's a lot of work to be done to restructure the economy - but if reforms are pushed through, brighter days are ahead. Lawmakers in Spain have voted to ratify a third financial bailout for Greece. Germany is expected to do the same on Wednesday, but many members of Chancellor Merkel's conservatives are expected to vote against it. Athens is getting more money and more time to implement reforms. But it’s doubtful whether the Tsipras government can fulfill its end of the bargain, writes DW’s Bernd Riegert. Talks have started in Athens on a third aid package for Greece. Creditors and the Greek government will face a tough time agreeing on the economic progress Greece has to achieve in return for another big shot in the arm. Can Greece still be saved? Germany's government wants to try and the Bundestag is on board. Still, no one is quite ready to charge into the breach for Greece, says DW's Sabine Kinkartz.